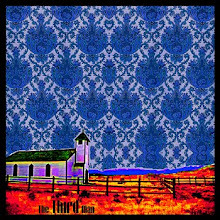 A blog following the exploits and ruminations of a band from Memphis, Tn called The Third Man. Check here for band updates, downloads, etc. ... will post current things about us, that other people say, as soon as they say something, specifically about our new tunes. As promised, The Third Man received a small blurb in a recent Memphis Flyer article... featuring the adorable Bullet Proof Vests, saying we were "two of Memphis' most consistently enjoyable bands" - J.D. Reager.